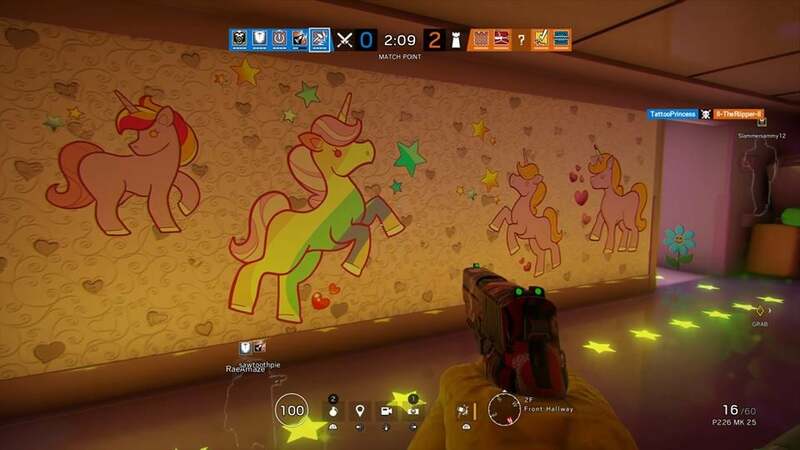 “Rainbow Is Magic,” a special event added to Rainbow Six Siege for April Fools’ Day and running until 8 April, brings over-the-top silliness, teddy bears, and lots and lots of pink to the tactical shooter. The whimsical vibe of a children’s animated show is not something you’d expect to see in a Rainbow Six game, but it makes me want more. I’m totally in this for the bedazzled guns and unicorns. I’ve seen some hilariously fun April Fools’ Day modes in my time, including the introduction of Prop Hunt in Call of Duty: Modern Warfare Remastered, but Ubisoft really went all out for this event. Rainbow Is Magic puts you on a colourful, toy-sized variant of the classic “Plane” map. 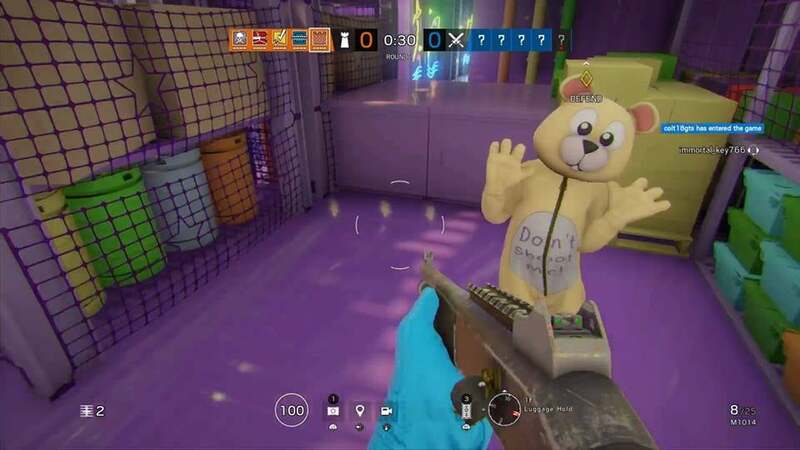 The mission objective is to rescue or defend a teddy bear hostage, and this plays out much like a standard game of Hostage mode with an added cartoon aesthetic. Honestly, the redesign is so well thought out that I wish we could play this special event on more than one map. Almost every detail of the plane received a fun new look, which makes me ponder what other maps would work for the whimsical theme. Perhaps the Kafe Dostoyevsky building might make an interesting transformation into a giant toy shop. It could be three floors of 1980s toys come to life, because 80s kids had some pretty wild stuff and toy stores were still relevant. “Theme Park” is a pretty run-down map, but it could be brought back to life with vibrant colours and maybe some robots. Yes, a theme park of killer robots. I’ve confessed my love for Siege’s zombie-filled “Outbreak” event in the past, but Rainbow Is Magic gave me unexpected silliness that I didn’t know I wanted. I take Siege more seriously than my other favourite shooters, but this event reminded me that it’s okay to be ridiculous every now and then, even in a super-serious tactical setting. Rainbow Six Siege is over three years old and still ageing nicely with a constant flow of new maps and Operators, but I’d love to see more frequent events like this to keep the game spicy. Give me more zombies or teddy bears. Give me zombie teddy bears on Theme Park. I’m not scared.